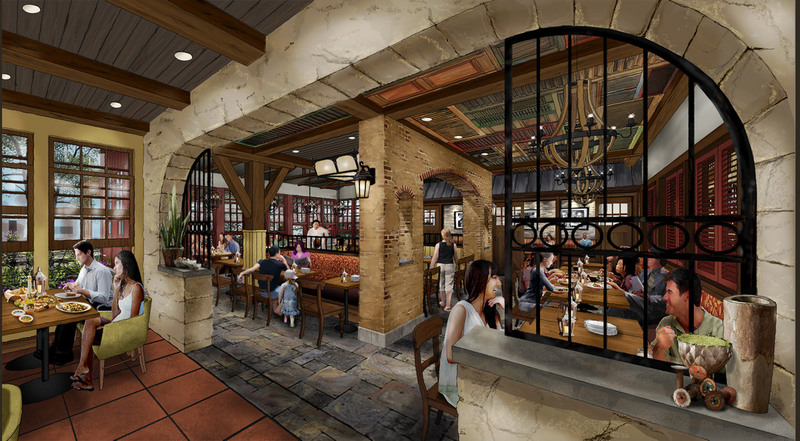 Terralina Crafted Italian, a new dining experience curated by James Beard Award-winning Chef Tony Mantuano, will open this fall at Disney Springs. The new restaurant, which will replace the space at The Landing previously occupied by Portobello Country Italian Trattoria, is currently undergoing a multi-million dollar makeover inspired by Italy’s Lake District. Terralina’s menu will feature authentic, Italian cuisine cooked in Chef Tony’s signature olive oil, imported directly from Italy. The restaurant’s wood-burning oven will fire up a selection of artisanal, hand-tossed pizzas and fresh vegetable dishes. Fan favorites from Portobello Country Italian Trattoria such as the antipasti platter and signature pasta dishes will remain on the menu alongside new additions such as mussels and pork chops. Construction is expected to be complete this fall. Terralina will be open for lunch and dinner.